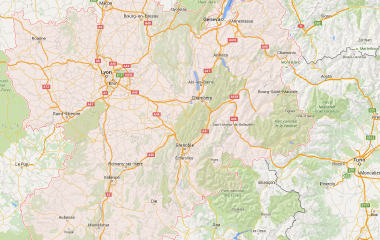 Camping in Drome : something for everyone! The campsites in Drome offer you a large variety of pitches, mobile homes or cottages, set in an unspoiled natural environment. 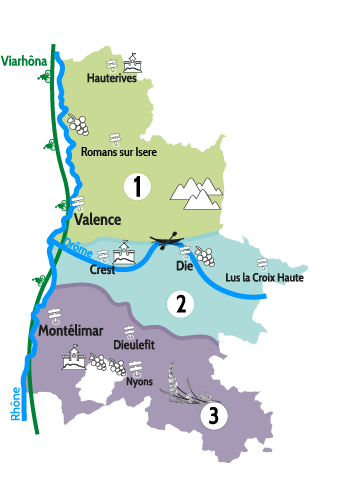 Pick the one that suits you best in Valence, Montelimar or the medieval villages of Royans, Nyons or Die. Choose your rental according to your preference and needs! Whether you want go hiking, entertainment for children or just good value accommodation, the campsites with swimming pool in Drôme have a rental that suits you. Check our list of the most beautiful campsites with water park below, and book your holiday break on www.sitestouristiques-drome.com. Set between the Alps and the Rhone corridor, Drome has a wide variety of landscapes. From the steep reliefs of Vercors, through Provence’s hills coloured by lavender and sunflowers fields, till narrow rivers' valleys, perfect for canoeing. Such great natural areas are an excellent destination for outdoor sports enthusiasts. Fine food lovers will enjoy local gourmet specialties like olives, nougat and Clairette wine. Don’t hesitate anymore, choose your rental and go camping in Drome for your holidays! We offer the conviviality, personal welcome, quality, cleanliness and comfort for your holiday. Passionate about our region, we open our campsite to share it with you.